To have your PC running efficiently without being affected by any online or offline threats, then it needs to be installed with good antivirus software. It helps you to secure your identity and the vital information saved in your desktop. Choosing the right and apt antivirus software was a tedious task, but it is not any more. Yes, in this article I will let you know one of the best antiviruses called Panda Antivirus for Windows 10 and how to download the free version of Panda Antivirus. We have important information, saved passwords and a lot of useful stuff in our desktop or laptop. If it gets affected by any virus or any sort of threat, it creates lots of problem as we lose the important information which cannot be back again. So, we need to be a lot careful while choosing the antivirus software which helps us in many ways. I will let you know the features and why to chose Panda Antivirus for your Windows 10 32/64 bit. This is one of the best antivirus software I have come across. Panda Antivirus has a good and attractive user interface. Rather than on desktop, this looks much attractive on tablets. Anyways, it’s functionality and way of working does not change where you use it. It does not consume much CPU, so it gives you the better performance of your PC without slowing it down. It just installs in just 2 clicks and Yahoo Search will be the default search engine. If you want, you can remove it. Panda Antivirus performs full system scan and also scan of particular part. It does not take much time to completely scan your PC, but it detects the malwares quickly. It notifies user, when he/she tries to visit the malicious site, thus, protecting them from all sort of online threats. You can even scan the file that just downloaded and you can scan the currently downloading file. It is advisable to install Panda Antivirus for Windows 10 32/64 bit due to it’s amazing features. It automatically detects the various types of threats and also blocks the Phishing websites on the launch. 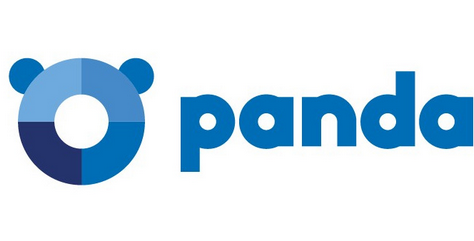 You can also use the Panda Cloud Cleaner which is another layer to clean out all types of viruses from your PC. Some malwares will be installed in your USB drive without your notice and when inserted in any other device, that virus affects that new system. If you install Panda Antivirus, then it stops running of that malware when USB is inserted in the system. This is a next layer of protection Panda Antivirus offers the users. It automatically detects the malwares when downloading a file or folder. Panda Antivirus performs the full system scan or part of the system quickly. Autoplay of the malwares from USB stick are blocked by Panda Antivirus protecting your PC from any sort of offline threats. Do not reduce the performance of your Windows 10 PC or Laptop. Easy to install, understand and use it. These are some of the important points, features and reasons of downloading and installing Panda Antivirus for Windows 10 32/64 bit. If you have anything to add, please do share with us through comments.